Bigdaftboy, VicLeChic, Hoppyjr and 1 others like this. I took possession of a new to me PO 2500D late last week! 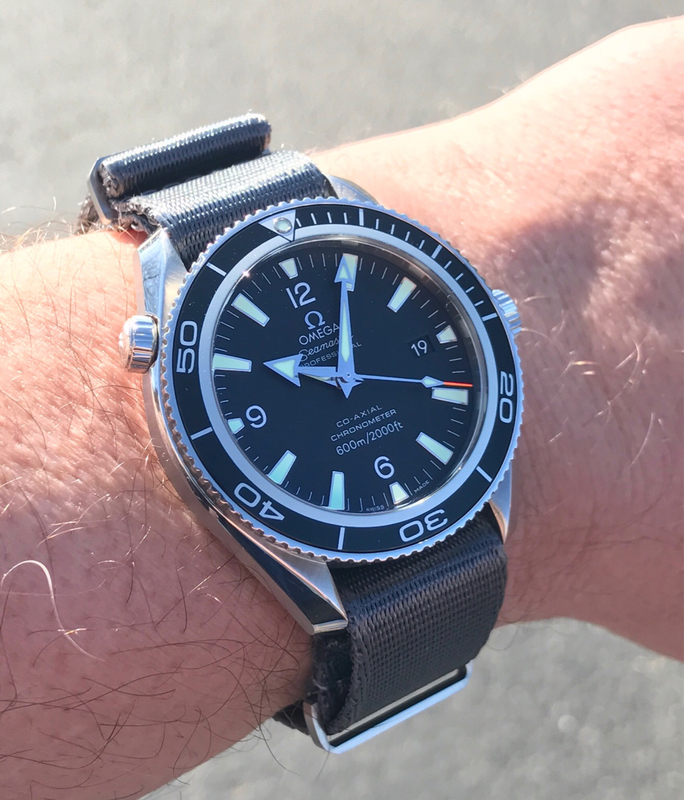 My first Omega, and actually first automatic! 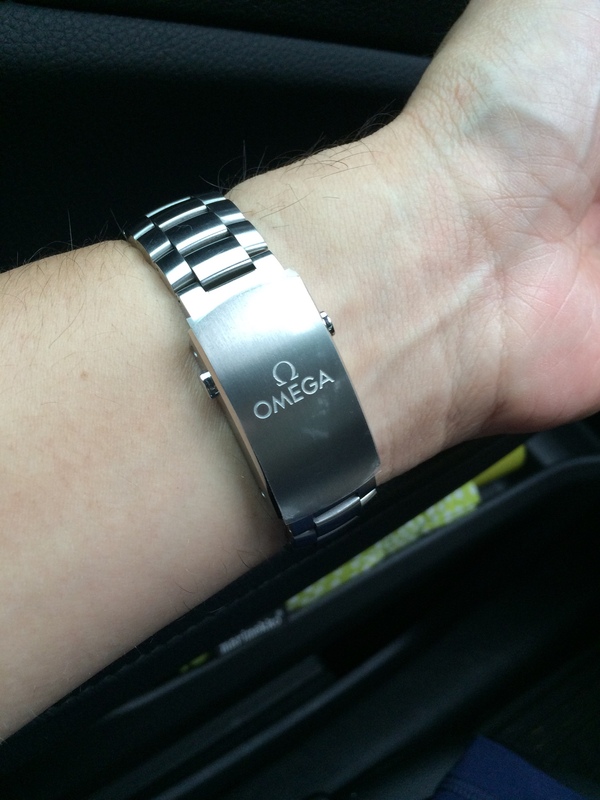 My other main watch is a Tag quartz, and I had been looking for an automatic Tag, when I began noticing the Omega's. 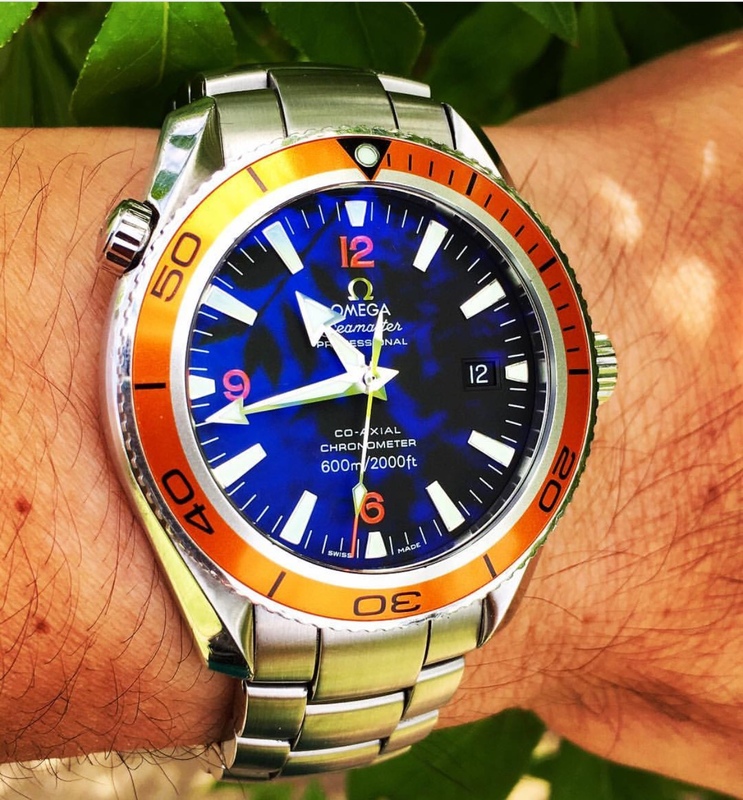 The first Omega to catch my eye happened to be a 2230.50, which I really like the look of, but I noticed that some people were modding those into pseudo-PO's. That's when I started to look at the real deal, and wow, what a beautiful watch it is! I had never tried one on, and was very nervous about spending that much on a watch I never actually handled, but I knew I had to have one! I did finally find a 2201.50, 2500D, full set in really nice shape and pulled the trigger last week. Once it arrived, I was blown away at how awesome it really is. The bezel is more refined and elegant than I expected it to be, the crystal is practically invisible and the dial practically leaps off the face of the watch when you look at it! The bracelet is every bit as beautiful as the watch itself; all the links curve in three dimensions all the while tapering to a very comfortable clasp. I did end up bringing the watch to a AD over the weekend to have it looked at and have it pressure tested. Upon handing it to the salesperson, their first question was whether the watch was brand new! The watchmaker checked the amplitude as well, and said it was good at 303 (not really sure what that means) and that is is clean and apparently never been serviced. I have been timing the watch with Watchcheck and it is running about +2 sec/day, so I am very happy with that. My cellphone photo does not do it justice, however, I wanted to attach one to "join the club"! One thing that I am having difficulty locating after scouring the internet, is a photo of a 2500D movement. The photo of the movement in my watch has the serial number on the balance wheel bracket (not sure of the proper terms here), but the location is a bit different than the 2500C photos that I see all over the place. The bracket is dimensioned slightly differently so the serial number is located immediately adjacent to the large "jewel", as opposed to next to the attachment screw as in the "C" movement. See attached. Also, why is the work "METAL" engraved in the edge of the PO's case? I don't notice it on other watches that have metal cases? Buchmann69, calv1n, hchj and 1 others like this. Furthering my post from above (not sure why I couldn't edit it?) 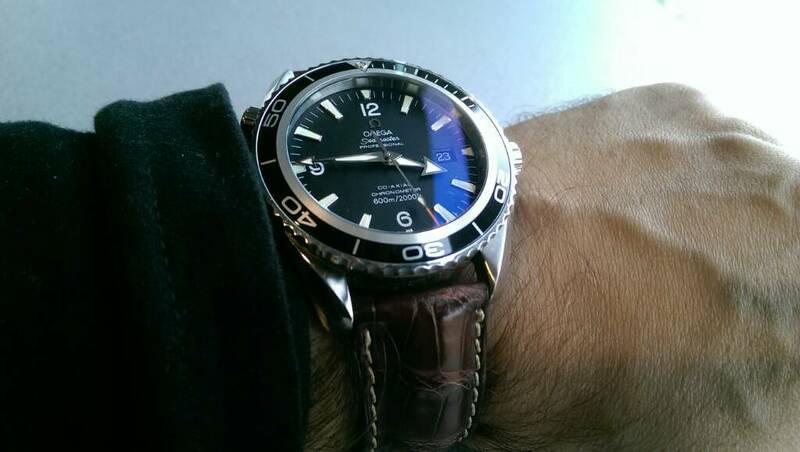 while I was at the Omega dealer I tried on a new PO. Honestly, I really like the 2500D better. 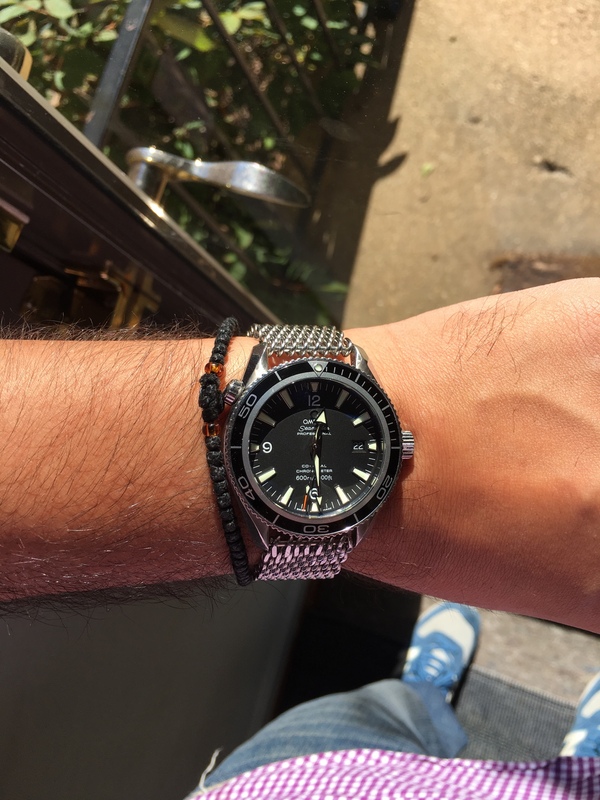 I think it fits me better, as I have a smaller wrist, but even more so, for me a better "all around" watch; not to sporty to dress up with, yet an unmistakably eye-catching dive watch. cybercat, VicLeChic and Petrus67 like this. 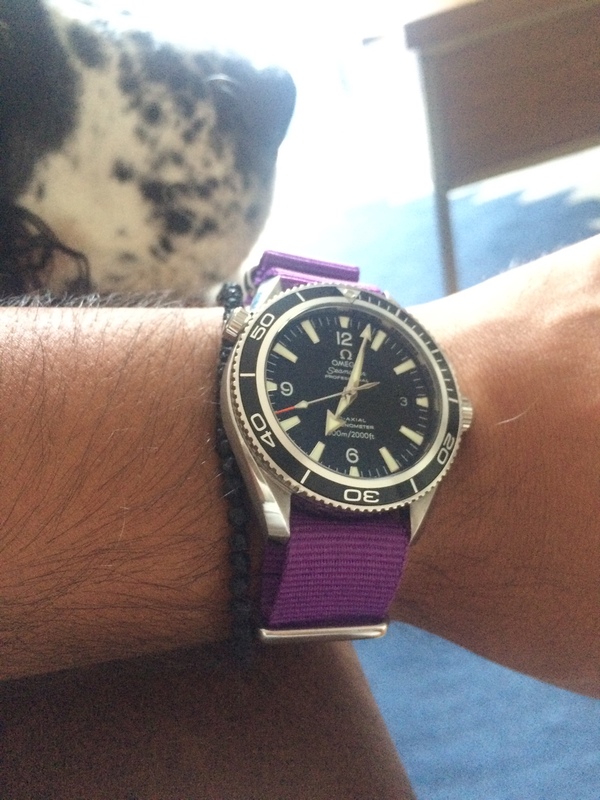 All dressed up in its original gator strap, PO2500C (45.5mm, year 2005). That isn't the case, it's the movement retaining ring as I understand it. 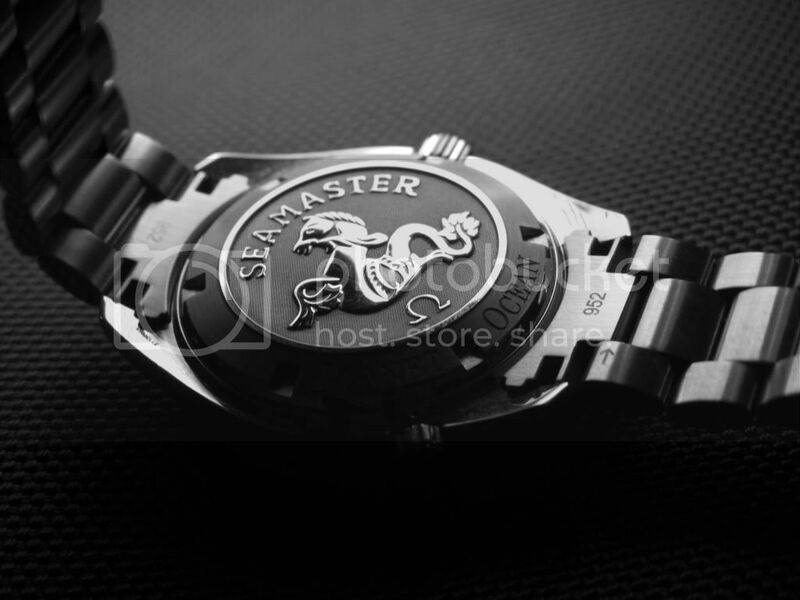 Some watches use a plastic retaining ring, so it's likely marked just to differentiate that it's metal. Iowa_Watchman, cybercat, calv1n and 1 others like this. Got my 42mm 2500 PO on today! Iowa_Watchman, cybercat, VicLeChic and 1 others like this. Love it more and more everyday. cybercat, RDK, Buchmann69 and 4 others like this. cybercat, Buchmann69, VicLeChic and 2 others like this. Last edited by ac921ol; April 13th, 2017 at 05:18. Buchmann69, VicLeChic, calv1n and 1 others like this.